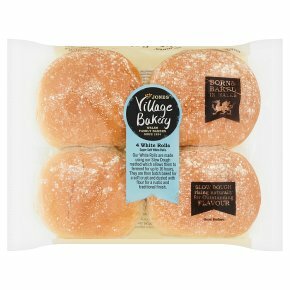 Born & bread in Wales. Slow dough raising naturally for outstanding flavour.Our White Rolls are made using our slow dough method which allows them to ferment for up to 16 hours. They are then batch baked for a soft crust and dusted with flour for a rustic and traditional finish.